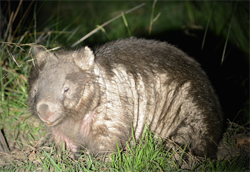 WomSAT offers a new way of recording observations of wombats. 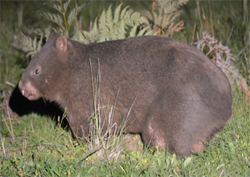 If you see a wombat or a wombat burrow record your observation in WomSAT. 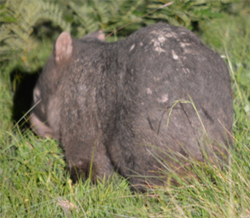 This evidence will help land managers to identify areas for better protecting our wombats. Sighting and nest data you enter will be visible to other community users. To enter data, zoom to your local area and place a marker on the map, or click the Pin Symbol to use your current location. Insert the details of your sighting, and press Submit. When you login in future, your data will appear under the My Data tab. If you encounter any problems when trying to add new sighting or nest information, please try using the latest Safari, Firefox or Google Chrome browser on your device instead of the default browser. If you still encounter problems with a new browser, or you have any other difficulties, please contact womsat@womsat.org.au.